Enjoy the Impressionist audio guide (English & French), the exhibit map, and more. Get the FREE app at the App Store or Google Play, and download before your visit. You can take The Highlights Tour, or look for audio stops on labels beside artworks and enter the number under "Search" in the app. Bring your headphones if desired, or you can purchase $1 earbuds at the WAG. 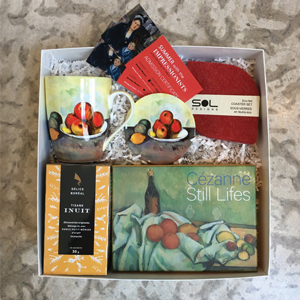 Once you've seen the show, take our 1-minute survey for a chance to win an Impressionist prize pack worth over $250! To enter, go to "More" in the app and tap to take the survey. 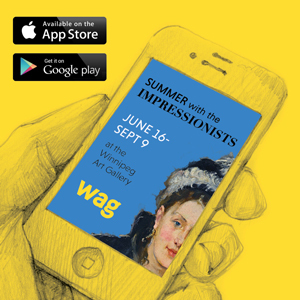 WAG members enjoy free admission to Summer with the Impressionists, plus discounts at ShopWAG, art classes, camps, and more. Inspired by our current floral-filled exhibitions, WAG members take 20% off all merchandise featuring work by Claude Monet and William Morris! Memberships are available for adults, couples, and families (up to two adults and four children). To sign up now, visit wag.ca. Check out the beautiful selection of botanical accessories and products blossoming at both Shop locations: inside the Gallery at 300 Memorial Boulevard, and our satellite shop, WAG@The Forks at the Johnston Terminal. Your purchase at WAG@The Forks gives you 20% off admission to Summer with the Impressionists. Impressionist gift passes available. For more, visit shopwag.ca. Pick up a Winnipeg City Pass and enjoy reduced admission to Summer with the Impressionists! 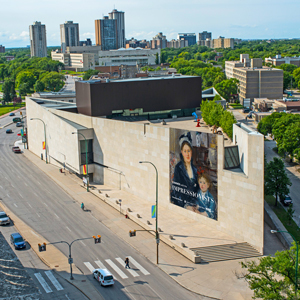 Winnipeg City Pass provides general admission to eight top attractions in Winnipeg, including the WAG, so for the Impressionists, you only pay the surcharge. 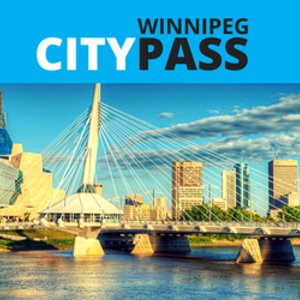 For details and to buy a pass, visit winnipegpass.com/city.